Imagine, you watch the luggage carousel rotate and suddenly you realise you can’t locate your luggage. No one wants to spend a few days without clothes, particularly in a foreign country. 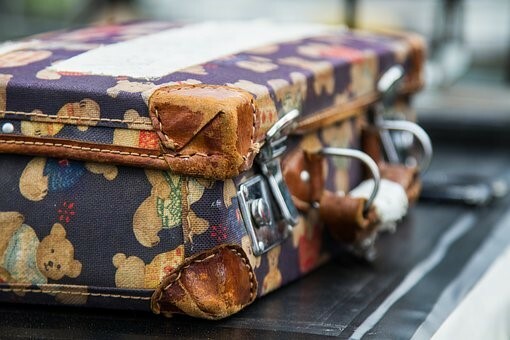 Here are a few tips to prevent your luggage from going M.I.A. Smart travellers buy bags that don’t look like the rest. Avoid buying bags that are in plain colours such as black as you won’t be able to easily spot it at the carousel. Instead, go for a colour or even a print that stands out from the rest. If you already have luggage, simply tie a ribbon on the handle or get colourful handles to easily distinguish your luggage from the others. Yes, it’s totally human to forget to remove old tags from luggage. Make a mental note to remove old tags from your bags before adding your new tags. It’s possible that your old tags might be confused for your current location. What’s more, always check that the airport code on the new tag is correct. Checking in your luggage within the right timeframe is essential. If it’s too early there’s a possibility that it would get stashed and forgotten about. If it’s too late, your luggage might not make it onto the plane. Airlines aren’t responsible for getting your luggage on the plane if it misses the flight because it was not checked in the right time frame then that onus falls on you. As your last line of defence and your luggage actually gets lost, take photos of the inside and outside of your bag. Even after you’ve taken the necessary precautions, there’s a possibility that your luggage could get lost. With the pictures, you can use as a reference when contacting the airline to assist with locating your luggage.